Our goal is to provide you with the unbiased, comprehensive information you need to properly evaluate your home-buying decision. Our multi-hour inspections focus on all major components of the home. 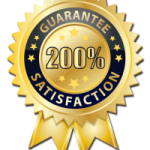 We offer a 200% Satisfaction Guarantee. We strongly encourage you to attend your inspection. If you are present at your inspection and by the end of the inspection we have not earned your confidence, please let us know before the report is produced and there will be no charge for our time. Why chose Attic to Foundation Home Inspections? Book multiple specialty home inspection services with one phone call. Trained and certified in Stucco/EIFS, Radon, Pools and Spas, and more. We try to fit your schedule. We are available for late day or Saturday appointments. We are always available after the inspection for questions or concerns. In most cases a comprehensive report with pictures, (except radon tests or lab samples) will be sent to you electronically. We have SUPRA key access to properties, even if your Realtor cannot make it to the inspection. We partner with Arrow Exterminators for Termite inspections. 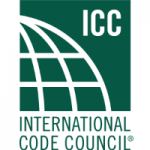 We consistently update our skills through ongoing training and certification. Many payment options are available such as cash, check and credit card. We spend an average of 3-4 hours for each inspection. We crawl through attics and crawlspaces as long as we deem them safe. 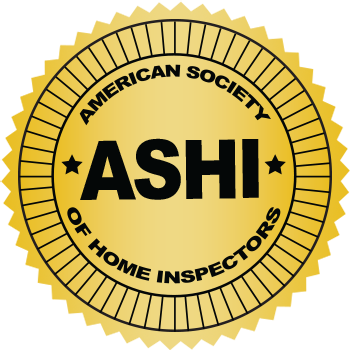 We are professionally trained, ASHI and InterNACHI certified, and properly equipped to meet your home inspection needs, from a thorough home inspection to specialty inspections such as stucco/EIFS inspections, pool and spa inspections, radon tests, termite letters (provided by Arrow Exterminators), and much more. I have suggested Stan to every Buyer I work with! I’m a Realtor with the Hermes Realty Group – Keller Williams Realty Atlanta Partners in Duluth GA. Stan Poss stopped by an Open House I was holding one weekend about a year ago and I was immediately impressed with his knowledge and professionalism. Since then I have suggested Stan to every Buyer I work with and he has done an excellent job every single time. I would highly recommend his service to anybody needing a home inspection in the Atlanta area! Stan did a home inspection on my house and I was very pleased, to say the least. He went through his very detailed report with me and answered every question I had. He explained some things I was just planning to skip over because they seemed so foreign I knew I wouldn’t even understand what they meant. In going through his report he went over them with me and left me with a complete understanding of the issues. There is no one else I would use other than Stan Poss to do the inspections for my clients. 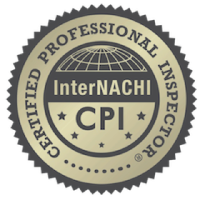 The inspection is such a critical part of the home buying process and as a Realtor in Atlanta, there is no one else I would use other than Stan Poss to do the inspections for my clients. Stan has been my exclusive inspector for years and he has impressed ALL of my clients with how knowledgeable, personable, accessible, responsible and committed he is. We were extremely pleased with his promptness in completing the task! Stan took time to call us after we had time to read the report and went over every single item in there. He told us what we needed to fix quickly and what could wait. Months after the report was completed, we still speak with Stan from time to time about issues in our house. He gives us direction and guidance. Stan was very patient with all of our questions and concerns. My husband and I have been impressed not only with Stan’s inspection and knowledge but also his willingness to answer questions long after he completed the inspection. We highly recommend hiring Stan Poss to do your home inspection. Thank you Stan for your work. As my 6th home I was impressed by the thoroughness and detail that Stan provided. He went above and beyond the call of duty. Stan went above and beyond all of my expectations. My partner and I are purchasing an older home that has been gut-renovated, and Stan discovered hidden structural issues that would have cost us tens of thousands out of pocket to fix on our own. Aside from that, he is a pleasure to spend four nerve-wracking hours with; he always had a joke or story to bring us back from nail-biting moments of worry. I felt more than confident after we drove away knowing that Stan had examined every inch of the home and assured us that we could get in touch anytime–whether it was tonight or three months down the road–to ask any questions we have. If you’re a first time home buyer, you can’t make a better choice than Stan to calm your fears, and if this is not your first home-buying rodeo, he’ll certainly beat your previous home inspectors on both thoroughness and price. Many thanks from a grateful customer. Hands down the best Home Inspection company in Atlanta. Attic to Foundation is the go to for all things home inspection. Do not waste your time with anyone else. Great service for a great price. Stan is the best. He is incredibly knowledgeable, trustworthy, very detailed, patient with his clients, and a pleasure to work with. I will happily recommend Attic to Foundations and Stan to all of my closest friends and family. I wholeheartedly recommend A2F and Stan to anyone in need of a home inspection. You will not be disappointed. Very knowledgeable. Very patient and thorough. I would recommend Attic To Foundation, LLC to anyone without hesitation. Call us to get a quote and book an inspection! 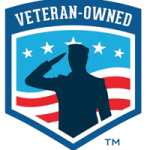 We are proud to offer a special discount to all veterans.